The website Mawdoo3.com has had a meteoric rise, but many outside the Arabic-speaking world have not yet heard of it. Some 17.1 million people visited the site in January, according to Effective Measure, a firm that measures Internet traffic. 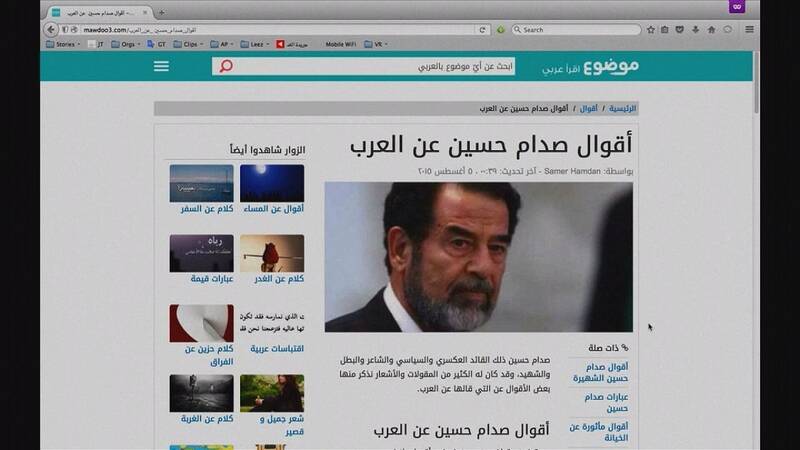 That makes it the biggest Arabic-language website in the world. It’s a wide-ranging informational site with some similarities to Wikipedia and Ask.com. The idea for Mawdoo3 was born in a cafe in the Jordanian cafe in Amman in 2010 – when Mohammad Jaber, who was finishing his medical studies, teamed up with entrepreneur Rami Qawasmi. “As a doctor, I must use foreign sources for work. In other fields, I can’t be sure that there will be useful information. The easiest way to learn something is in your mother tongue, but if there is no high quality information in your language, the information will be translated with mistakes,” says Jaber. Jaber and Qawasmi say they have reached a USD 1.5 million partnership deal with the Dubai-based investment firm EquiTrust, as well as a new revenue-sharing agreement with Jordanian content marketing agency SyndiGate. It is a world away from how the young entrepreneurs started out. “You have to see a little bit in front of you, how to get to the next step, and then from there see how to move forward,” says Qawasmi. Less than one percent of the language on the Internet is in Arabic, according to the International Telecommunications Union. But with an estimated 4.5 percent of the world population native Arabic speakers, and millions more people using it as a second language, there is huge potential for the growing use of Arabic online. “Different cultures learn in different ways, and some don’t know English that well. Information in a learner’s mother tongue is foundational to one’s culture, and doing it will strengthen and develop Arabic culture,” says Jaber.